American farmers may find profit in raising some plants which are the basis of crude drugs now imported to the extent of $8,000,000 a year. 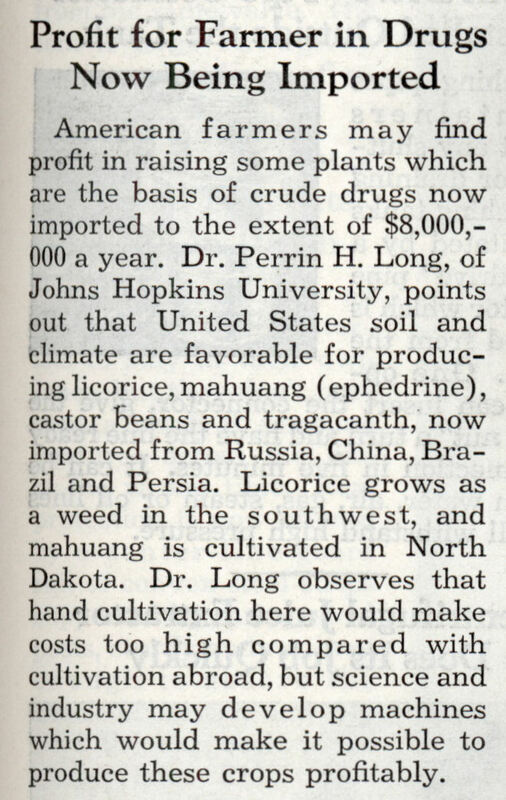 Dr. Perrin H. Long, of Johns Hopkins University, points out that United States soil and climate are favorable for producing licorice, mahuang (ephedrine), castor beans and tragacanth, now imported from Russia, China, Brazil and Persia. 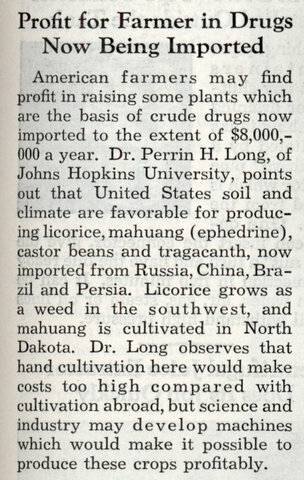 Licorice grows as a weed in the southwest, and mahuang is cultivated in North Dakota. 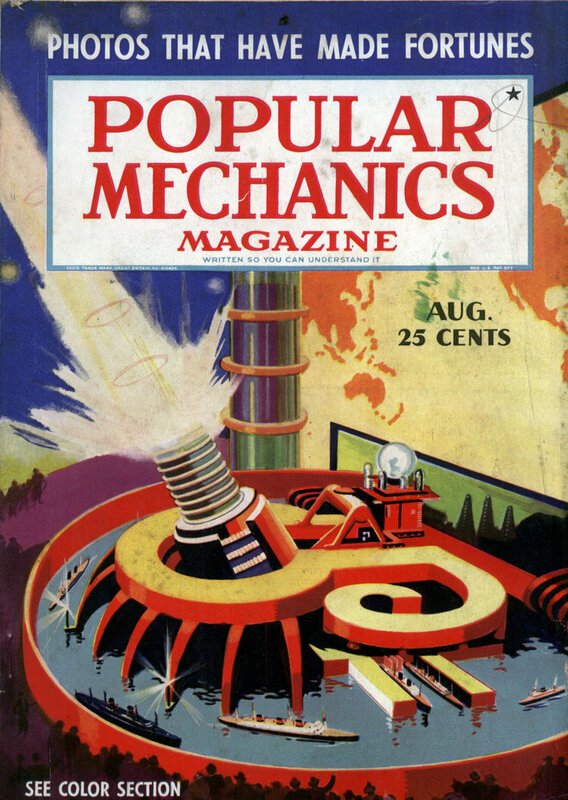 Dr. Long observes that hand cultivation here would make costs too high compared with cultivation abroad, but science and industry may develop machines which would make it possible to produce these crops profitably. Plants containing ephedrine? Yea I can see a market for that. @ ouch – Nope, Castor beans, Castor oil, that’ll clean you out somthing quick!